On August 22, we returned to St Pete and boarded the Jet Boat for a Dolphin watching cruise. We return several times each year. 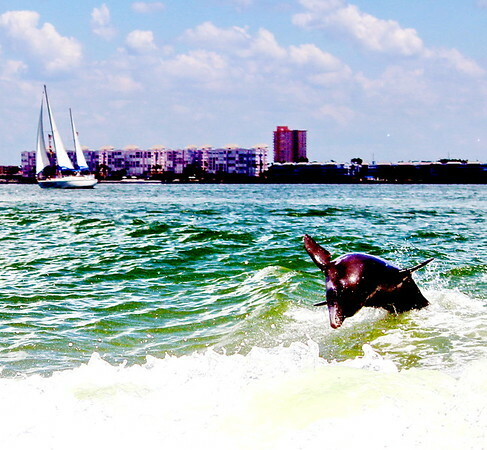 In the summer months the water is warmer so the Dolphins return to the Gulf. It is a little more difficult to find a pod ready to play in the boat's wake, but our crew did find some . I did not get as many photos, but enough togiv you another perspective of these wonderful mammals.